I choose soley based off of how much i like the appearance. I choose based on final evolution. Crap, I voted that I never vote based on element, but I wish I could retract it. I actually think I tend to go with a Fire starter, usually because there are so many grass and water Pokemon available throughout the course of the game. I always have a hard time finding a fire type in the wild that I like unless it's Arcanine or something. Edit: And in the case of HG/SS, it lets me choose Bulbasaur or Squirtle when I pick my Gen 1 starter, which is a nice bonus. I always start with Fire. 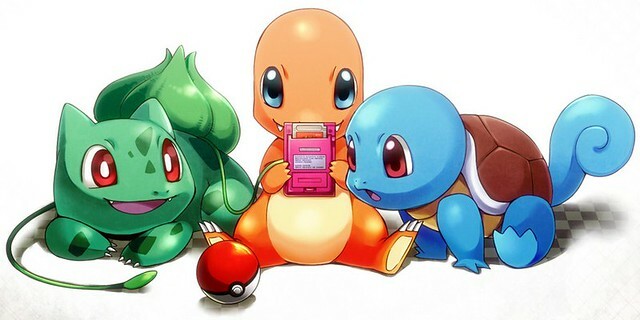 But I always get the other three starters from trades and make them part of my primary team. I always choose water because I like water. That said, picking a fire Pokemon is usually the best move, cause there's usually not an opportunity to get another one until much later on, whereas a grass Pokemon can be obtained almost immediately, and a water Pokemon is only one old rod away. Blue - I think I used Squirtle first. Yeah I think I chose him cause Blastoise looked badass. However I also remember starting with Bulbasaur. Sapphire - Mudkip. Yeah, I have no idea why. Water pokemon trend? Diamond - Piplup. Wow. Ok, this is a real trend. SoulSilver - Cyndaquil. C-c-c-combo breaker!! First gen I had Yellow so there was no choosing. Second gen I went with Cyndaquil. Third gen I went with Torchic (dumb final form, should have went Treecko). 4th gen I went with Piplup (dumb final form, should have went Turtwig). Didn't play 5th gen but I probably would have went Tepig even though none are very cute imo. Oh wait, I just remembered I played FireRed but I don't remember who I chose. Probably Charmander.